Whether you’re starting a fitness resolution for 2018, continuing a tradition or simply looking for a new way to get active, San Francisco has plenty of options for every interest and every level. We rounded up a few of the best places to get active in the new year. 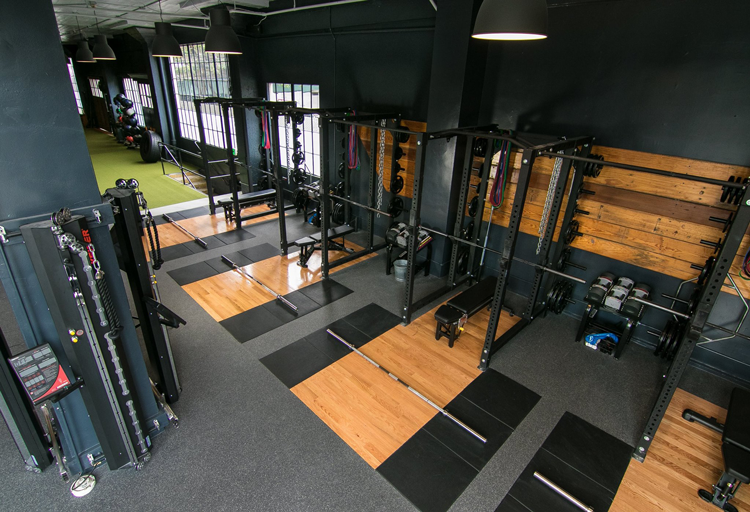 So whether you’re looking for a close-knit community of CrossFitters, a club with a full lineup of equipment and amenities, or a personalized studio experience, you’ll find the perfect spot on our list. Yogis, check out 13 Yoga Studios in the Bay Area You’ll Want to Try and get an inside look at some of the best studios in every region of the Bay Area! Perform for Life is consistently ranked among the best gyms in the city — by Yelp, by Bay Area A-List, by SF Gate, by us. That’s because the people who are a part of this community find a home away from home and a place where their goals are supported by energy, expertise, passion and one-on-one attention. Get started with your personal training, wellness journey or a small group class on the website. The DIAKADI facilities consist of two floors for strength and performance training, an obstacle course training center, comfortable locker rooms, a refreshment bar and full amenities. Whether you’re looking for an open gym, small group training, personal training, physical therapy or holistic health consultations, the team here can help every step of the way. For all the specifics on the location, parking and more, go here. Bay Club has eight locations throughout the entire Bay Area and, in addition to Bay Club San Francisco, there are three other Bay Club gyms within the city. Bay Club San Francisco, located on the Embarcadero waterfront, was the country’s first co-ed club in 1977. Today, they offer a comprehensive squash program, yoga and Pilates in the 11,000-square-foot Mind & Body Center, and relaxation in the Sanctuary Spa. Check all the facility details here and you’ll also find information on the other Bay Area locations! Located in the Embarcadero Center, Wheel House is a neighborhood favorite for energetic music-driven cycling classes, TRX Suspension Training, core strength training classes and an impressive lineup of yoga classes. Ranging from Chill Mellow Flow to Power Vinyasa and everything in between, their yoga classes are all about one hour long and are led by expert instructors. It’s a great local option if you’re interested in a wide range of group fitness classes! From yoga and TRX classes to mindfulness workshops and spa services, everything at Glow is designed to make you fit, keep you happy and get you glowing. To get started, you can purchase your 10 Day Glow-Starter online for $40 which gives you unlimited access to yoga, barre, spin, TRX and kettlebell classes. Featured on 13 Yoga Studios in the Bay Area You’ll Want to Try, Yoga Tree has six locations in San Francisco, a teaching studio and one studio in Berkeley. The original studio opened in Haight Ashbury in 1999 and has since grown into one of the Bay’s best places for a comfortable, safe practice to explore the body, mind and soul. Back in 2009, this box originated in the back corner of World Gym. Today, a membership to CrossFit Potrero Hill includes a free membership at World Gym which means you get all the benefits of a full fitness club as well as the expertise and support of one of the Bay Area’s best CrossFit communities. Every day, their coaches and members strive to improve themselves and to define what CrossFit means to each individual so everyone can meet (and enjoying meeting) their goals. 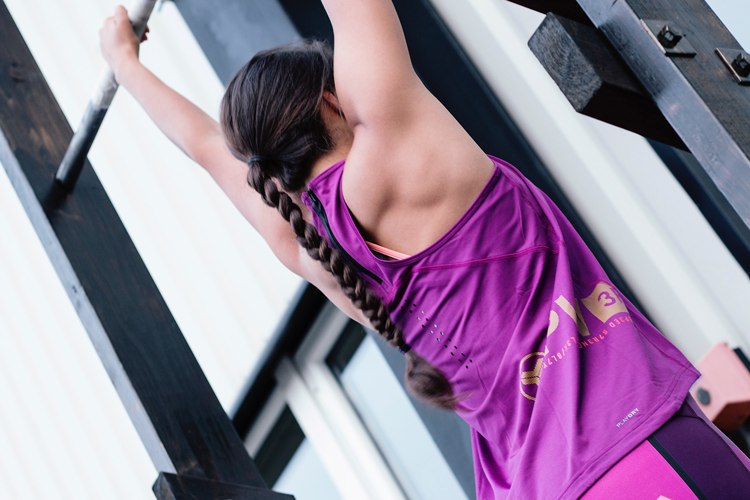 Telegraph CrossFit is run and owned by a small team of passionate and energetic experts in strength, rehabilitation, functional and sport specific training, nutrition, weight loss — you name it. Getting started is made easy whether you’re a newbie or an experienced CrossFitter. Learn all about their Intro Series, Personal Training and Test Out options here. As SoMa’s original CrossFit gym, the team at United Barbell believes CrossFit can make you fitter, healthier and more prepared to take on anything life throws at you — no matter what your age or your experience. Since opening in 2010, co-owners Jenny Werba and Olivia Graff have built a community of fun fitness and competitive support. Whether you’re looking for personal fitness training or experts in group Pilates classes, OnPointe has the facilities and the team that will make your fitness journey a success. The focus is on collaboration, creativity and compassion so that you can have fun, be motivated and feel good about every step of the way. Check out the class details for information on membership and the new client special! With teaching methods based on science, Blue Sparrow Pilates centers their programs around understanding your body so every member can get the most out of every class. They offer classes in STOTT PILATES, GYROTONIC, CORE and Total Barre so you can pick and choose or try your hand at all four! Check out the class schedule online. Nestled in San Francisco’s Mission District, Body Chemistry Studio specializes in Pilates reformer and group classes in addition to private Pilates sessions. Whichever option is right for you, you’re guaranteed education from highly experienced trainers and an experience you’ll want to come back for again and again! 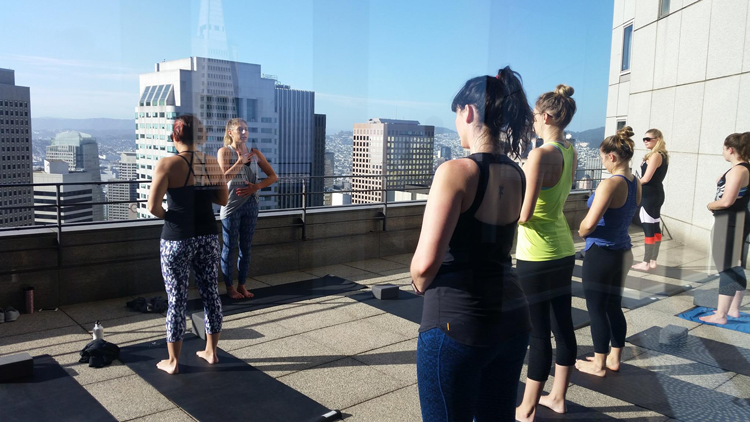 Where do you break a sweat in San Francisco? Share your favorite gyms and studios in the comments below!